The Mercedes-Benz seems all set to hit the SUV performance market with its revised model. 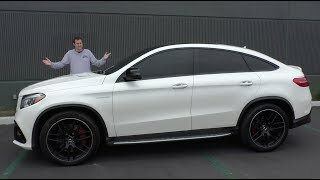 The appealing factor for GLE 63 AMG isn’t just its front and rear but it also will create benchmarks in terms of performance and CO2 emission. 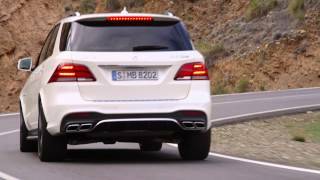 As per shared specs and features the Mercedes-Benz GLE 63 AMG is more powerful than the past from home, ML63 AMG. 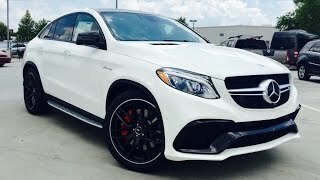 Let us see what all the GLE 63 AMG 2016 holds special in it, so as to create its own way in the mid-size SUV category but before we move ahead we would just bring into notice that for those looking for a little more in power has the option to go for GLE 63s version, rest all being same. As you can see above not much of difference is featured in the S Version but still for those who wants a little more add on to the acceleration, company availed you the offer. To know more scroll down. The Mercedes AMG GLE 63’s interior holds aluminum trim and an Artico artificial leather captivated dashboard. The sportier looking dials hold carbon-fiber essence while the infotainment system has the Racetimer option, a gear indicator and a unique catchy design for the startup screen. The Steering wheel is flat-bottomed with silver paddle shifters and sports seats with improved bolsters and a bespoke upholstery design add to the glory of interiors. New for the model is 7 inch multifunction display, which is expected to get lot of attention for its design, though as an option you can also go for an 8 inch infotainment system as well. The front also holds two dials in shape of tube featuring a 4.4 inch multifunction display in the middle. To make GLE63 look like an AMG model it looks as if the company has done a great practice. Reason behind quoting so is ‘’AMG littering” on every side of the car. We believe that without this too the car lovers can get to know that it is an AMG model. The major difference in exterior design we noticed is the aerodynamically sculpted bumper. The engine Grille too holds the AMG roots in it. Here is again an option company is providing its buyers and it is for tires. If in case you find 20 inch tires ‘not of your mark the Mercedes provides you an option to go for 21-inch tires housed under wider wheel arches. The twin turbocharged V8 engine gives GLE 63 enough power to take you on a thunder ride, tearing the winds and reaching 0-62 mph in 4.3 seconds. The engine is mated to seven-speed automatic transmission but yes to be mentioned here is the improvement made in shift times for GLE 63 AMG. AMG ride control, special struts, active anti roll bars and Active Curve System roll stabilization are few more features that add to your better driving experience. 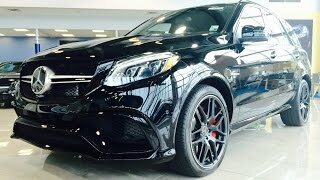 Talking about the price, Mercedes GLE 63 AMG is expected to stay around $100,000 and for the competition, the GLE 63 will have to battle against BMW X5M and Porsche Cayenne Turbo S.